For this edition of Quick & Dirty, I spoke with Chris Vargo when he recently visited his hometown (and my current home) of Bloomington, Indiana. Chris grew up as a swimmer, then a cyclist—riding for the Cutters and winning IU's famed Little 500—before transitioning into running. When we first met in 2009, he was still primarily a cyclist. But after a stint in Sacramento and then Colorado Springs, Vargo has rocketed to the fore of the trail ultrarunning scene. 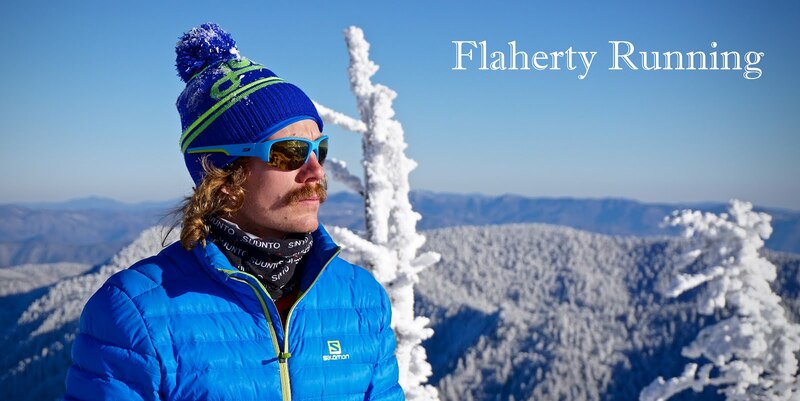 He now resides in Flagstaff, Arizona, where he runs professionally for Nike and coaches runners through his website, VargoRunning.com. Vargo on the trails where he got his start in southern Indiana. RunFlaherty.com: You withdrew from Speedgoat 50k—where many thought you would be right in the mix—due to injury. Can you tell us a bit more about that issue and how you're managing it? Chris Vargo: Yes, unfortunately I made the decision to withdraw from Speedgoat 50k due to a groin/adductor issue that had been bugging me for quite some time. With a handful of goal races later this year, I felt like it was important to spend the time to get healthy in hopes of finishing the year out with some solid finishes. Strength training and regular physical therapy have helped out dramatically! RF: How has your training been recently? CV: My training has been great recently. I just finished up my last long week before UROC 100k and feel as though I've done everything I need to do to perform well. Flagstaff has treated me well so far, and I'm really looking forward to getting out to Colorado for some quality racing in the Rockies! RF: What's up next for you race-wise; any big goals the remainder of the year? CV: UROC 100k is coming up next weekend, September 6th! It will be my first 100k and I'm really looking forward to it! After UROC I will rest for a few days and then start building back up for the Templiers Great Run in France on October 26th. Looking forward to racing on a stellar US team with you, Sage Canaday, Zach Miller, and Alex Nichols! Finally, I'll finish up the year at The North Face Endurance Challenge 50 Mile Championships in San Francisco on December 6th! RF: Now that you've been on the Nike Trail Elite Team for 8 months or so, can you comment on how that sponsorship relationship has been? Team feel/community, relationship with the company, unique opportunities, etc. CV: Nike has been absolutely incredible this year. Not only do they support us to the fullest, but they also listen to our feedback in order to help better their trail products. I'm truly grateful to be a part of the team, and am looking forward to the 2015 season with them! RF: How was your pacing experience with Nike teammate Alex Varner at Western States? Did it affect your thoughts at all on your own 100 mile debut timeline? CV: Pacing for Alex Varner at this year's Western States 100 was quite the experience. Alex had an absolutely incredible 100 miler debut, and I am so thankful I was able to be a part of it. I've always wanted my 100 miler debut to be at Western States, and experiencing the race first hand made me want it even more! 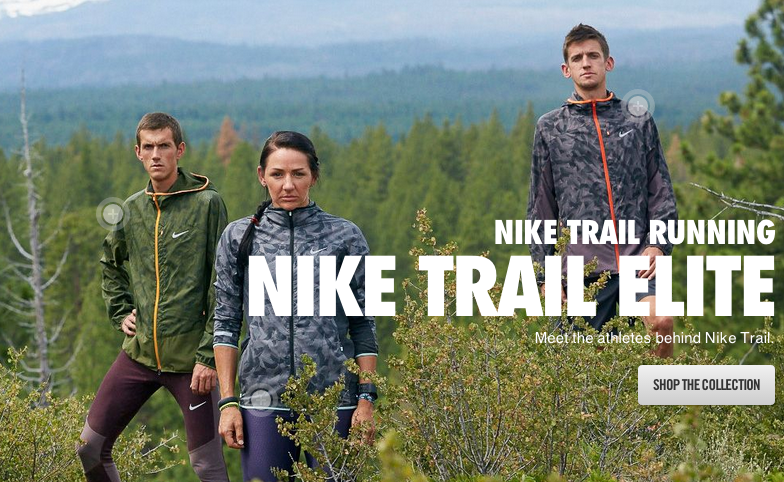 Vargo with teammates Sally McRae and David Laney, featured on Nike's trail running website. impressive points thanks for sharing useful stuff..